Rocklin Academy Preschool is located at 6552 Lonetree Boulevard in Rocklin at the Rocklin Academy Gateway campus (entrance faces R. C. Willey). Our preschool program is a separate, fee-based program, which is available to all of our families and the community. Although the preschool is located at the Gateway campus, it is a separate and distinct entity. Rocklin Academy Preschool uses the Core Knowledge curriculum, which is able to differentiate teaching to meet the academic and developmental needs of each child. Applicants must turn three years old within the first 14 days from the start of the current preschool year or prior to starting preschool and must be fully toilet trained. 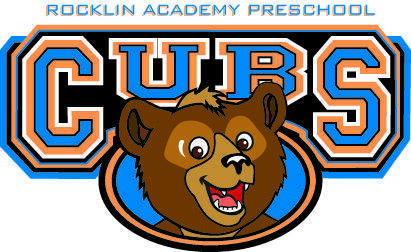 Rocklin Academy Preschool offers both half-day and full-day options. Preschool classes are from 8:45 am - 12:45 pm while the childcare aspect of our program is open from 6:30 am - 6:00 pm (Monday through Friday). Childcare is open year-round. Our preschool year begins Monday, August 12, 2019. Parents are responsible for tuition beginning on that date. There will be no credits issued for missed days. Children may enroll at any time during the year on a space-available basis. If there is a current waiting list at time of application, the child will be added to the waiting list. We hope that the lives of our preschool families will be enriched with the Core Knowledge curriculum starting at a young age, and the added convenience of having a local preschool located at one of our campuses. Preference for preschool is given to employees and families with students currently attending one of the Rocklin Academy Family of Schools. Acceptance into Rocklin Academy preschool does not give your child any preference for enrollment into any of our charter schools. Once you have completed your child’s preschool registration form, we will determine if there is an opening in the program option you've selected. If we have a vacancy, you will receive an acceptance notification (by email) no later than April 30, 2019 with instructions on completing the rest of the registration packet. You have 48 hours to respond to the acceptance email. If we do not receive your confirmation within 48 hours, you will be removed from the list. Once accepted, you will be directed to our billing system to set up an account and pay a $100 non-refundable registration fee in order to reserve your spot. The preschool program fills up quickly, so please don’t delay! If there are changes to your child’s schedule after you have submitted your application and are accepted, you must send an email to RApreschool@rocklinacademy.org indicating the reason for the change. The preschool director must review all change requests. Once the request has been reviewed, an email will be sent indicating “approved” or “denied”. If approved, a mandatory $75.00 re-scheduling fee (per child) will be charged at that time. Please only request your child’s actual intended schedule on his/her registration form, as signing up for more days will not give you priority. This fee does not apply to Rocklin Academy Gateway TK students.